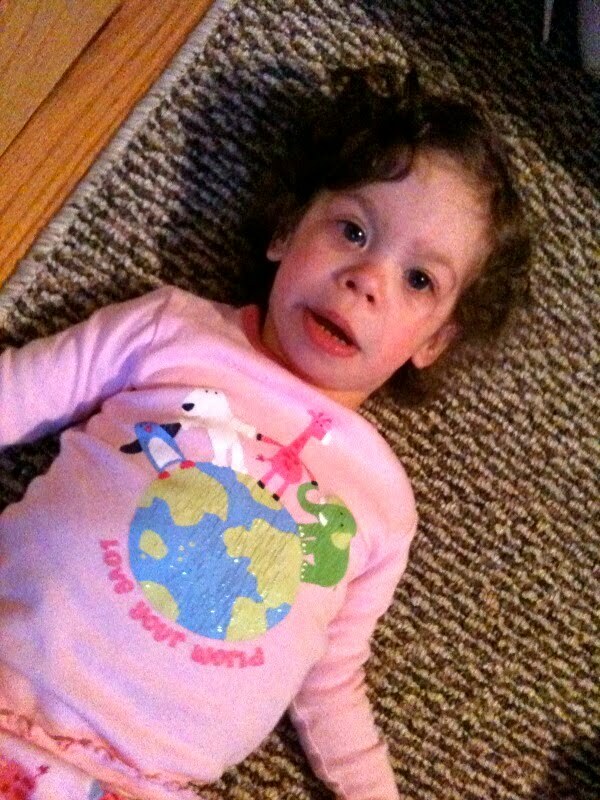 Mikayla had an appointment with her geneticist last week. She ordered some blood work – routine procedure – to check Mikayla’s calcium level and kidney function and a few other things that I don’t understand/remember. I got a call today that the results were completely normal! This means that Mikayla has most likely outgrown any danger of her calcium level getting too high and hopefully we won’t have to worry about checking it any more! If her calcium stays normal her kidney function should too. Praise God for these great results and for how well Mikayla is doing overall! She showed her friendly side again today. We went out to eat for lunch. Mikayla said hi to everyone we passed on the way to our table and to everyone sitting around us. When the waitress came to get our credit card she asked if she could hold her. Of course, Mikayla went right to her – arms stretched. She went with the waitress to run the card and didn’t care for a second that she was with a total stranger. (For anyone who may be panicking, the cash register was approximately 10 feet from our table, in clear view.) I’m pretty sure Mikayla made this lady’s day. So crazy how people are drawn to her. If only we all could be as friendly and non-judgemental.